This post is part of the Tender Sapling Travelers Series and Part 3 of a 3-part installment on Mongolia. See Part 1 here (book recommendations and learning about the ger) and Part 2 here (prayer wheels, including a step-by-step craft). I usually love researching and selecting which native food to prepare for our monthly Culture Club homeschool cooperative potluck. However, Mongolia had me stumped. 2) If I could get all the supplies and pull off a traditional dish, which typically involves no seasoning and is usually heavy on the animal fat to help Mongolians survive their cold winters, would my kids or any of the 30 other children at our potluck try more than a bite of it? My dilemma continued: What Mongolian food to make? 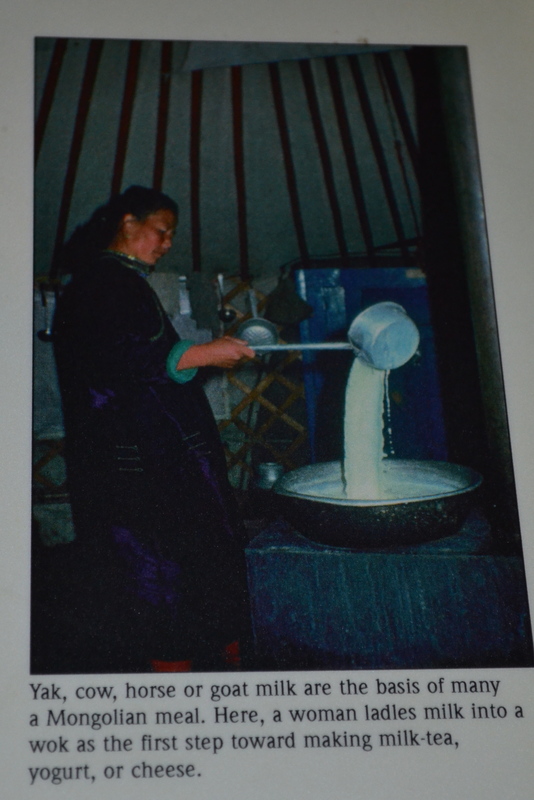 Imagine how thrilled I was when we stumbled upon this picture of a woman making yogurt (or some other dairy product) inside her ger. At that moment, I realized we had something in common with Mongolians. 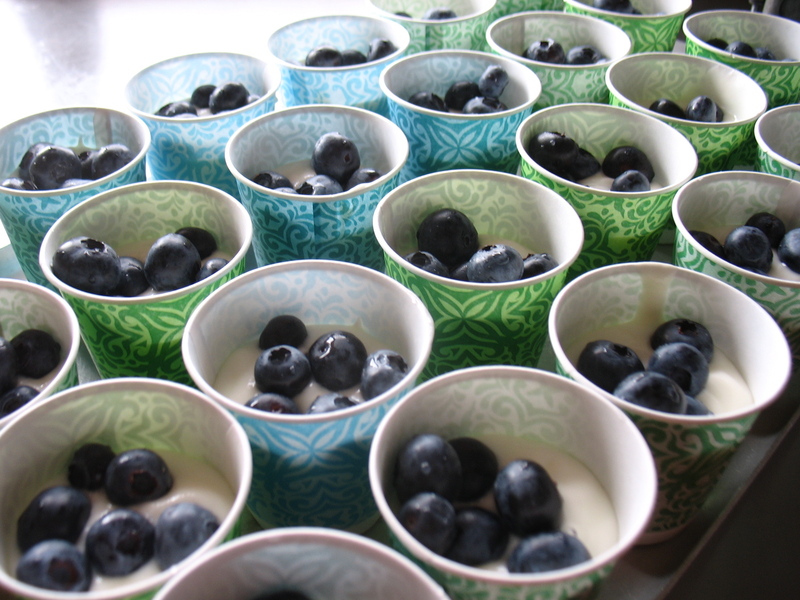 We make homemade yogurt too! and, of course, the heavy consumption of animal products and sparse inclusion of fruits, vegetables, and grains in the traditional diet. I am usually thrilled by all the incredible diversity of the cultures we study. This time I breathed a sigh of relief to find a similarity between our family’s culture and that of the culture we were studying. So, we made Tarag – cow’s milk yogurt. 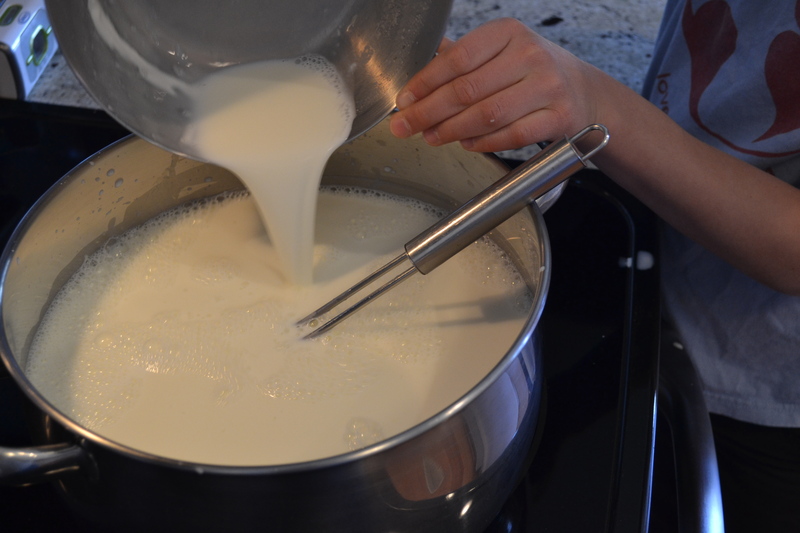 To find out how, see our Homemade Yogurt post with our family’s recipe and pictures of our oldest son helping make it. I love when my kids experience new foods from the various countries and cultures we study, such as when we enjoyed a Norwegian food fest weekend. I even love when the cultural food exploration bombs, such as it did during our Wampanoag Thanksgiving meal. Our “travels” to Mongolia proved that I also love the experience of discovering something familiar in a vastly different culture! As I dished up our “Mongolian yogurt” cups to serve the kids at our coop, I felt a bit like the 22-year-old me who was tickled beyond belief by her first Hong Kong grocery store visit after living in China for two months and losing ten pounds. By the time I crossed back into China two days later, my suitcase was overflowing with honey, lentils, and other familiar goodies that would make the coming months a bit easier as I continued to explore a new culture. I set our tray of Mongolian Tarag with Fresh Berries on the Culture Club table and smiled. Next to it was this lovely contribution by another family: a Mongolian flag cake. Clearly, I was not the only one who struggled to come up with an authentic food that would be attractive to our kids’ Westernized taste buds. The cake got extra points in my book for creativity, as it would surely be more memorable for the kids than a typical “This is the flag of …” presentation. 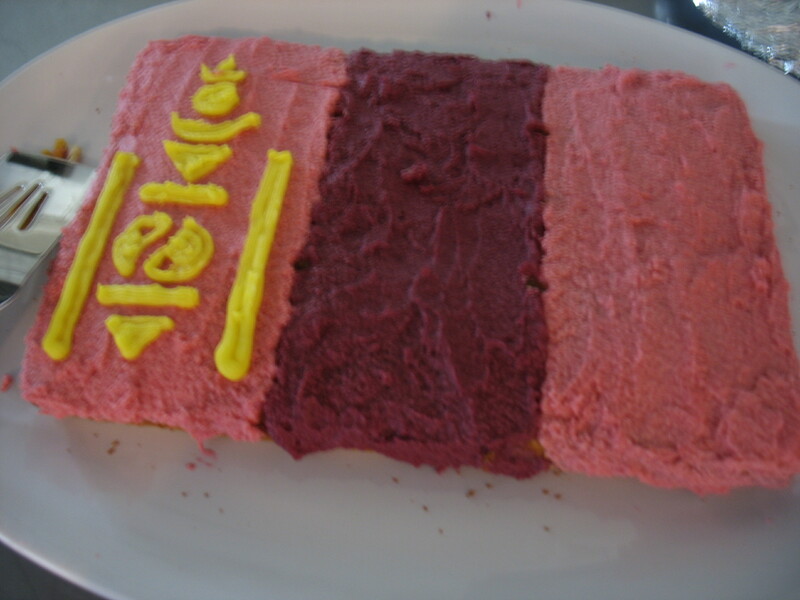 Cake decorated with the Mongolian flag. Our other mealtime contribution at the Mongolian Culture Club gathering was easy to prepare: a native meal blessing. I always enjoy researching and selecting this, as it provides a common thread to all our gatherings and shows that giving gratitude for our food is a universal human experience. This month’s meal blessing was a nice complement to the topic our oldest son had presented on and the companion craft he had created: a Buddhist hand prayer wheel. During our family’s dinner that night, we enjoyed listening to this Mongolian throat singing. It sounded oddly similar to the native singing of the Sami peoples we’d discovered during our exploration of Norway. How amazing the threads that tie our human family together! That image will remain with me for some time. Milk may be a shared part of our food heritage and the pain of a child’s departure from home something mothers world-wide share, but the milk-sprinkling ritual is uniquely Mongolian. How has food served you and your family as a portal to exploring other cultures? Categories: World Citizenship | Tags: berries, Buddhist meal blessing, Mongolian barbeque, Mongolian food, Tarag, Tender Sapling Travelers, yogurt | Permalink.